Do not fly this at home. Thirty-two years after Top Gun propelled a 23-year-old Tom Cruise to the top of Hollywood’s A-list, the actor/producer/stuntman is still wowing audiences in the air. The difference is that now he’s really the one handling the flying, whether he’s performing a high altitude, low-opening parachute jump from a Globemaster C-17 25,000 feet over the United Arab Emirates, or piloting an Airbus H125 while also serving as camera operator and, you know, actor in a harrowing helicopter chase through the canyons of New Zealand's South Island. 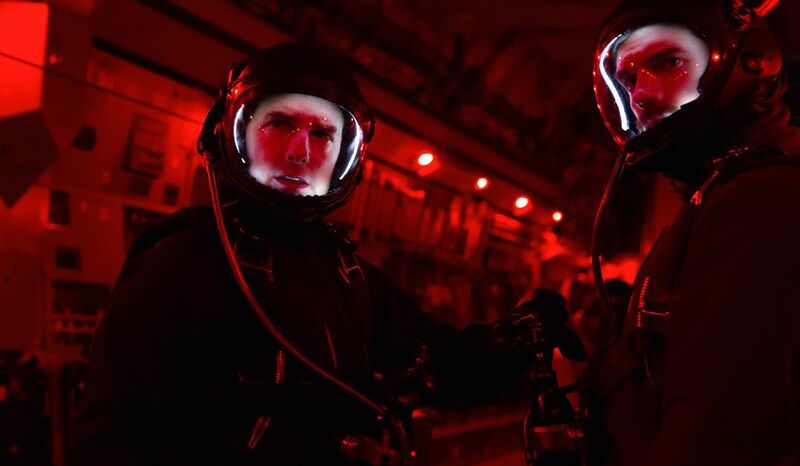 Mission: Impossible—Fallout, which opened last weekend to the biggest grosses of the 22-year-old movie franchise's history, extends the films’ habit of presenting more outlandish and dangerous stunts with each entry. The productions take pains to shoot them in a way that lets audiences see it’s really the middle-aged star (and producer) performing these feats on location, rather than on a soundstage. The authenticity of these exercises in death-cheating has of course become a major marketing hook for the movies. A mishap during one of the movie’s three major aerial stunts would almost certainly have resulted in something more severe than a busted ankle. 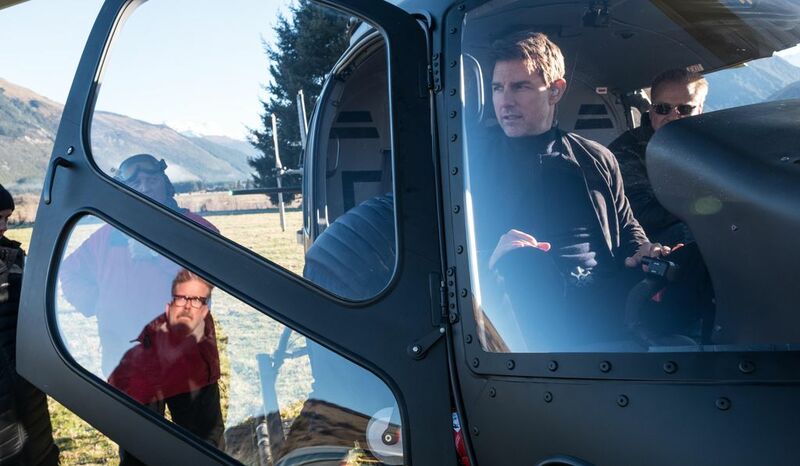 Long before Fallout began shooting in March 2017, Cruise, who’s been a licensed pilot since 1994, spent three months in Texas training to fly a helicopter with Airbus chief pilot Tim McAdams. In June 2017, the production moved to Queensland, New Zealand (standing in for Kashmir) to film its two big helicopter stunts. The first involved Cruise climbing up a rope suspended from an Airbus flying at 2,000 feet until he reached the landing skids, then intentionally slipping 40 feet down and hitting a cargo net being carried by the chopper. 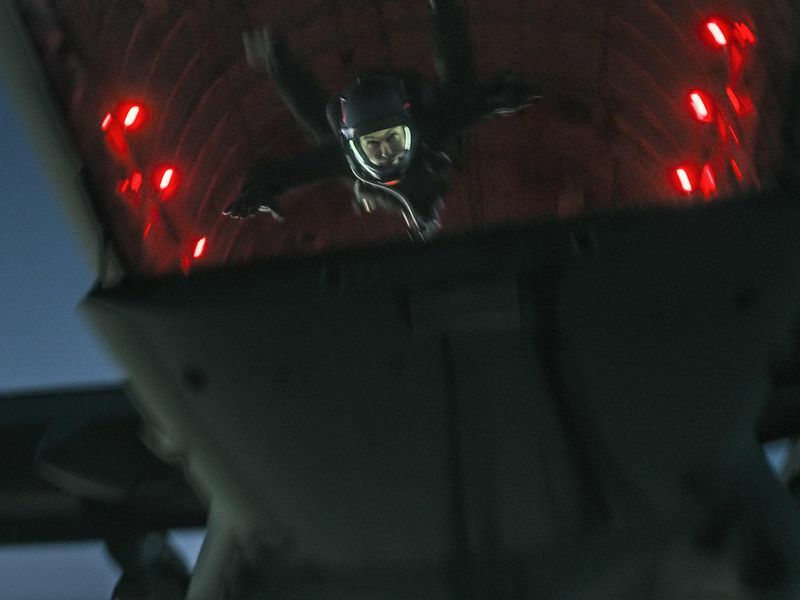 Cruise claimed the stunt was more difficult than the one he completed for the prior Mission: Impossible film, clinging to the side of an Airbus A400 in flight. Once the fall was in the can, filming got under way on Fallout’s climactic helicopter dogfight. 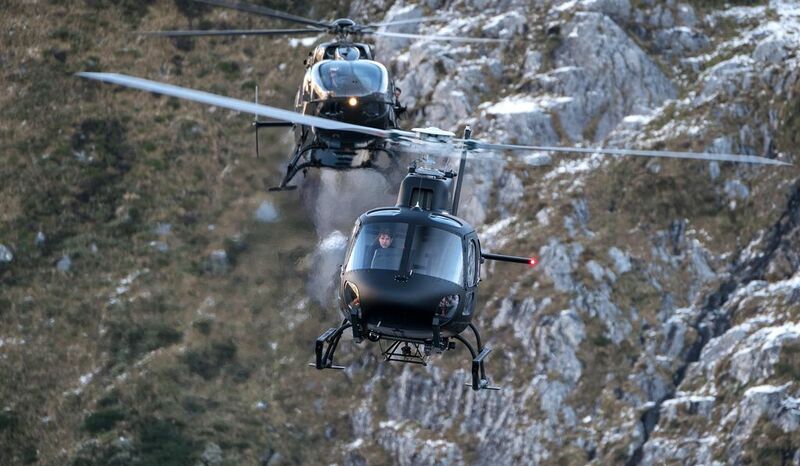 Cruise flew the Airbus H125, while veteran pilot Mark Wolff flew an Airbus BK17 carrying actor Henry Cavill. The scene culminates with the BK17 pursuing the H125 to Milford Sound, where Cruise performs a wing-over followed by a corkscrew dive. In part because of the delay necessitated by Cruise’s injury, almost a year passed between the filming of the helicopter chase in New Zealand and capture of the HALO jump over the UAE. (In the movie, Cruise and co-star Henry Cavill are supposedly diving into Paris, where they had filmed on location on the ground in mid-2017.) The production built what it claims is the world’s largest vertical wind tunnel at Leavesden Studios in England to allow the actors to rehearse their maneuvers in the air. From the wind machine, they progressed to five jumps per day from a Viking Air DHC-6 Twin Otter twin-turboprop followed by three per day from the Globemaster—eight daily jumps during the four-week rehearsal period. Allan Hewitt, a veteran of the British Army Parachute Regiment display team the Red Devils, helped to train the actors for their dives, and UAE General Civil Aviation Authority (GCAA) Aeromedical Specialist Anna Hicks served as the skydiving unit’s flight surgeon and safety diver, monitoring the actors and camera operators for signs of hypoxia. All the divers breathed pure oxygen on the ground for 20 minutes to avoid hypoxia at jump altitude. After that, there were between four and six rehearsal jumps during the day, with the final jump always filmed at twilight. Setting the scene at night permitted only a single take per evening—by the time they could get back into the air to jump again, the light would be gone. Veteran aerial photographer Craig O’Brien, who had the 20-pound IMAX-lens-equipped camera strapped to his helmet, had to dive a moment before Cruise to capture this jaw-dropping shot, and to keep focus at changing distances without being able to look through a viewfinder. So far as anyone knows, it’s the first time an IMAX camera has been used to shoot film while in freefall. Finally, the production had to design new, internally-lit helmets that would allow the actors’ faces to remain visible to the camera—otherwise it could by anybody performing that jump. The LED bulbs inside the helmets were coated in silicone to prevent any possibility of a spark igniting the oxygen if a bulb burned out. 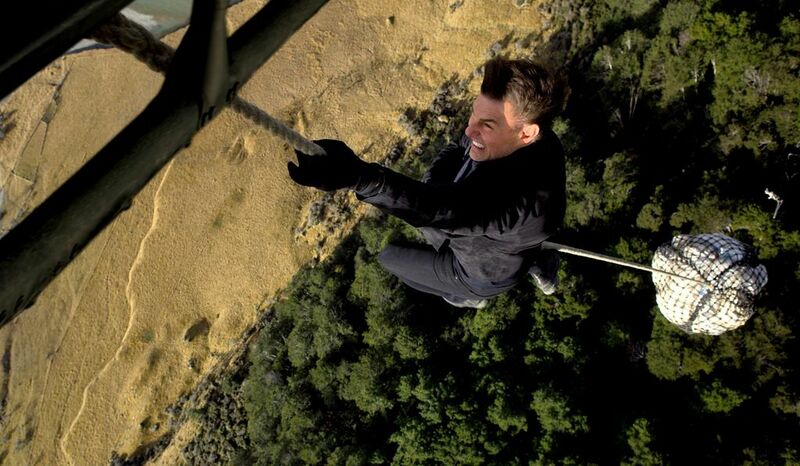 Hanging an actor off a wire in front of a greenscreen would've been a lot cheaper and easier. But the movie isn't called Mission: Reasonable.